Matthew Walden has nine years experience in Financial Services; the last three have been with Cornerstone Financial Group. He is a University of Florida Graduate with a degree in Economics. He is a Series 7, 65, and 6 Licensed Advisor. 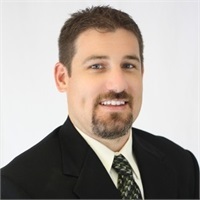 Matthew works directly with employer-sponsored retirement plans throughout North Central Florida and with clients individually. He has been married to his wife Jerrica for eight years and has two boys; Gavin and Noah .